Denver – On Tuesday, thousands of eighth-grade students met face-to-face with representatives from approximately 90 companies, 15 colleges and universities, and 30 high schools throughout Colorado at the ninth annual Denver Public Schools (DPS) Eighth-Grade Career Fair. “It’s fun talking to companies and learning about all the jobs out there,” shared an eighth-grade student at Dr. Martin Luther King, Jr. Early College. “My favorite part of today is getting to meet video game developers!” exclaimed another student. They, along with nearly 4,000 of their eighth-grade peers, dressed for the day in business-casual attire and questioned business leaders and education professionals about what next steps students should take for success in college and career. From veterinary schools, culinary programs and technology companies, to DPS Early College high school programs, Community College of Denver and University of Colorado-Anschutz Medical Campus, young learners opened their eyes to their future possibilities. They also learned about the supports offered to help them get there. 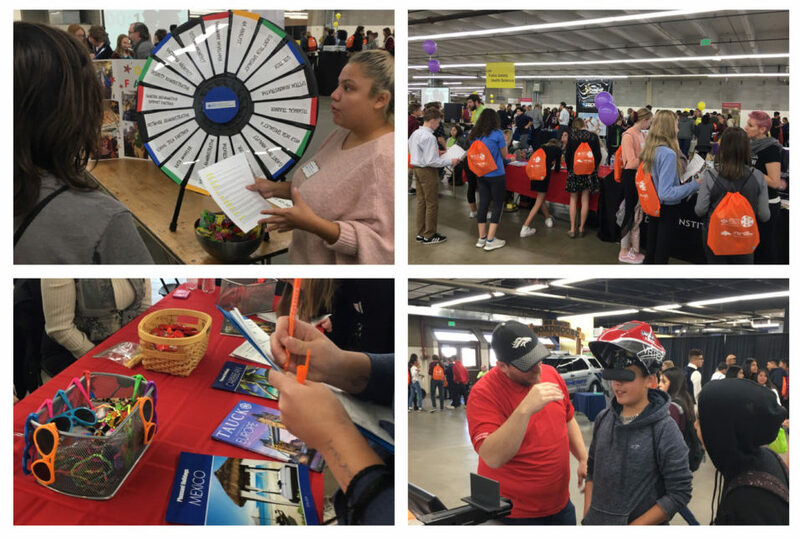 Industry professionals and educators hosted booths to help these students begin to envision and pursue their own personalized college and career pathways. The event helps ensure that students are ready for college and career, which is a DPS strategic Denver Plan 2020 goal, and exposes them to careers early on. The fair is an important link between students’ Individual Career and Academic Plans (ICAP) activities that start in the sixth grade and lead to more structured guidance in high school.